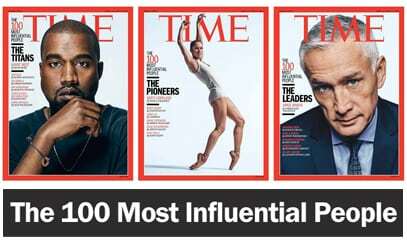 TIME announced its annual list of the 100 Most Influential People on Thursday. The list reads like a Who's Who of humanity, spanning genders, generations, ethnicities and professions. In its customary format, TIME's list features character sketches written by other recognizable names, making for a memorable feature for anyone interested in communications and leadership.